Electropolishing, often the final step in the manufacturing process, can effectively treat sharp edges to achieve the proper finish. Because electropolishing can be used with almost any alloy, including specialty alloys like Nitinol and titanium, it is a preferred finishing method for part engineers and manufacturers. Whether the final, desired edge is sharp or dull, electropolishing can achieve the desired finish on even the most fragile parts. Parts manufactured for a variety of applications, including medical equipment, surgical instruments, food preparation equipment, and more, require sharp edges. In some applications, such as surgical tools and commercial knives or blades used in food preparation equipment, sharp edges are a must. The manufacturing process, however, often leaves burrs and contaminants that must be removed before they can be used in their final application. To achieve consistent, clean cuts, the edges on blades and knives must be sharp and free of burrs. In other cases, however, dulling sharp edges is necessary to mitigate safety and performance concerns. Parts used in hand assembly, for example, require a dull edge finish to prevent cuts and unintentional injuries to workers. 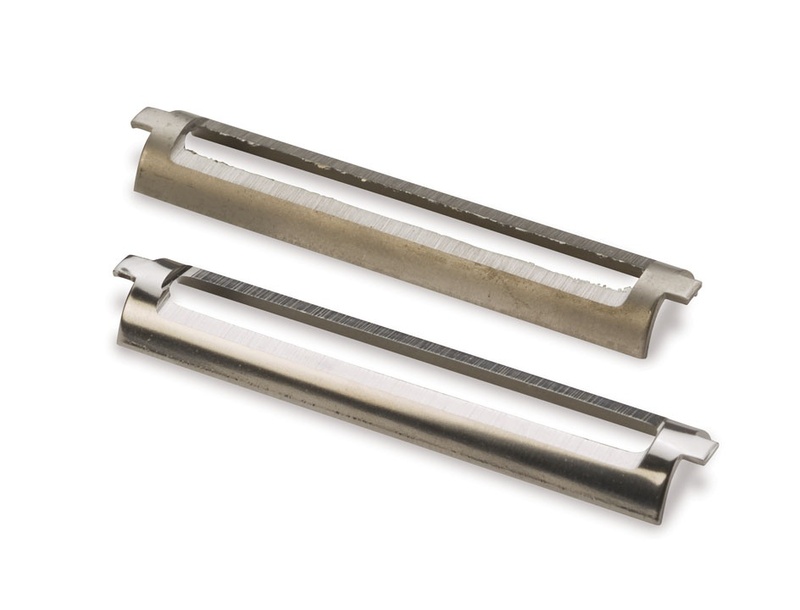 For applications requiring a sharp edge, maintaining a sharp edge during finishing is crucial. It is imperative that when electropolishing a finish ground edge that you control the material removal and not dull the cutting edge. Electropolishing removes a precise, uniform top layer, leaving edges both sharp and passive, eliminating the need for an additional finishing process to return parts to their passive state. Electropolishing also offers additional benefits. Electropolishing removes micro burrs, which often form along the blade edge. Burrs can significantly affect the cutting edge of sharp parts, especially in the case of surgical tools that need to be able to create a precise incision. Electropolishing also leaves parts ultra clean, which is needed for applications requiring high sanitation standards. Depending on how parts are manufactured, unintended sharp edges can form. Laser cutting, stamping, chemical etching, and other forms of machining can produce sharp edges that must be dulled before the part can be used in its final application. Electropolishing can make die breaks less pronounced, effectively dulling sharp edges. In many cases, to achieve a dull edge requires more than the standard material removal. Removing sharp edges is often a top priority for manufacturers. In certain cases, sharp edges on parts can increase workplace injuries. For example, parts used in semiconductor applications or those used in electronics, are often assembled by hand. Parts with sharp edges can cut through gloves or fingers, accidentally injuring employees. Because some of these parts must also be assembled in clean rooms, where adherence to high sanitary specifications is a must, accidental injuries must be avoided. In addition to dulling the sharp edge of parts, electropolishing can sanitize parts and give the components an improved microfinish. The process also removes micro burrs that could damage the part and cause part underperformance. Moreover, electropolishing can often eliminate the need for a secondary finishing process to return the parts to their original passive state. For more information on electropolishing sharp edges, contact the engineers at Able Electropolishing.